Who Made the first telephone? The inventor of the telephone was Alexander Graham Bell. He also set up the Bell Telephone Company. Bell’s company offered local telephone service in cities. In most urban areas, the Bell Telephone Company was the only local phone company. In 1885, Bell and his partners also set up a smaller company called American Telephone and Telegraph, or AT&T, to offer long-distance telephone service. 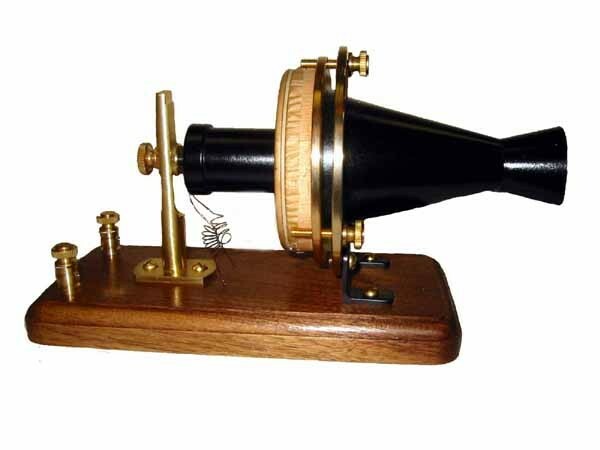 The telephone was invented on March 10th, 1876 . "Mr. Watson, come here, I want you.” With these words, spoken by inventor Alexander Graham Bell into his experimental telephone an industry was born. Near Brant-ford Ontario, Canada is where the invention of the telephone was created. Alexander Graham Bell had invented the telephone at his parent's home, the Melville House. Why was the telephone invented? 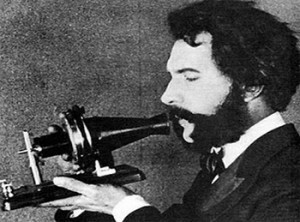 Alexander Graham Bell's role as a teacher for deaf individuals and the presence of his deaf wife and mother inspired him to develop his electrical speech machine, or telephone. How the telephone was invented? 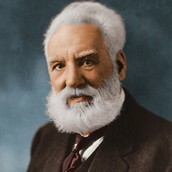 Alexander Graham Bell conceived of the telephone at his summer home in Brantford, Ontario and physically created his first phone in Boston, Massachusetts, where, he said, it was 'born'. This was a result of his research into improving the telegraph system. Bell was experimenting into improving the telegraph system so that multiple messages could be sent at the same time (his theory of the 'harmonic telegraph' was based on the principle that several messages could be sent simultaneously along the same wire if the different telegraph signals each had a different pitch). However at the same time he began working on the novel idea that speech could be transmitted electronically, as he accidentally discovered that the sound of a spring being twanged could be heard over his harmonic telegraph system. Almost a year later in March 1876 Bell uttered the first famous words into the device to his assistant in the next room: "Mr. Watson, come here - I want to see you". How the telephone changed our lives today? Prior to the invention of the telephone, the only non-face-to-face ways for people to communicate with each other were by mail or telegraph. This meant that communicating with people who were located a great distance away was a very time-consuming process. With the invention of the telephone, people could communicate very quickly from great distances. This allowed business practices to speed up and businesses to reach a much wider range of customers. Individuals could communicate with distant family members much more easily as well.